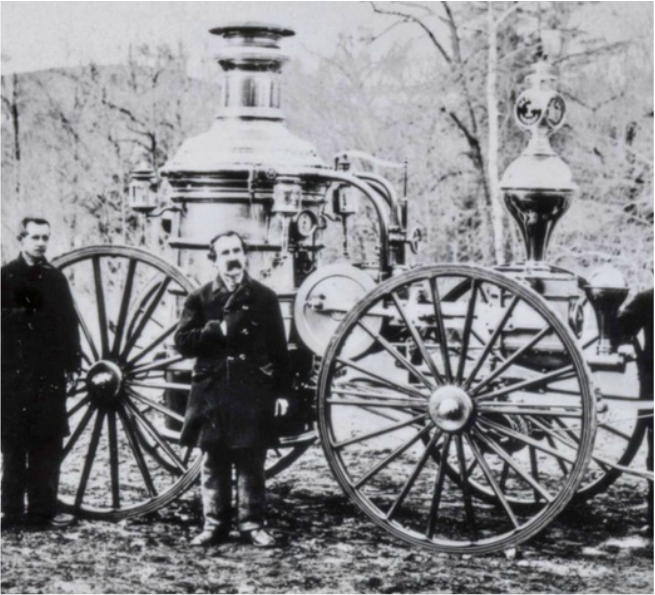 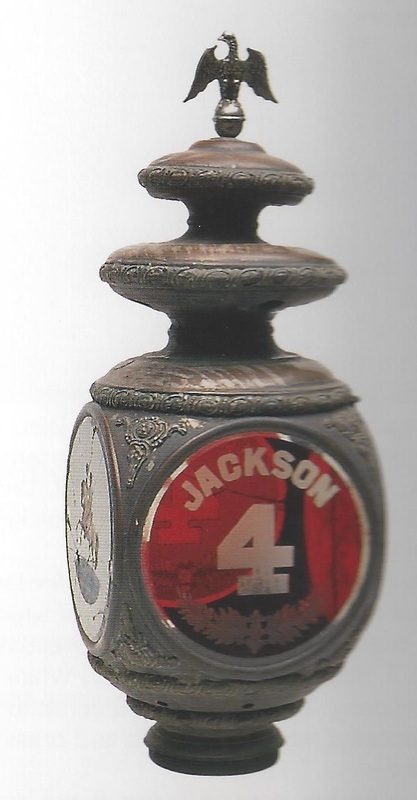 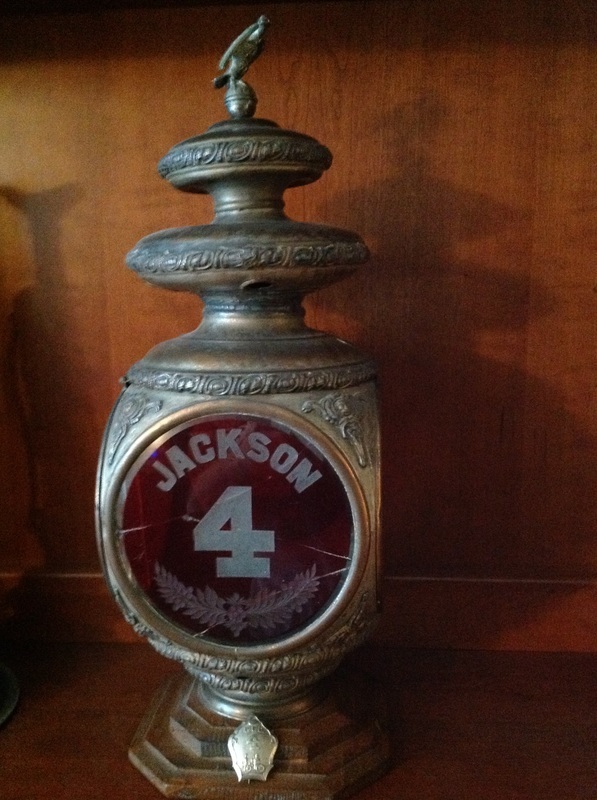 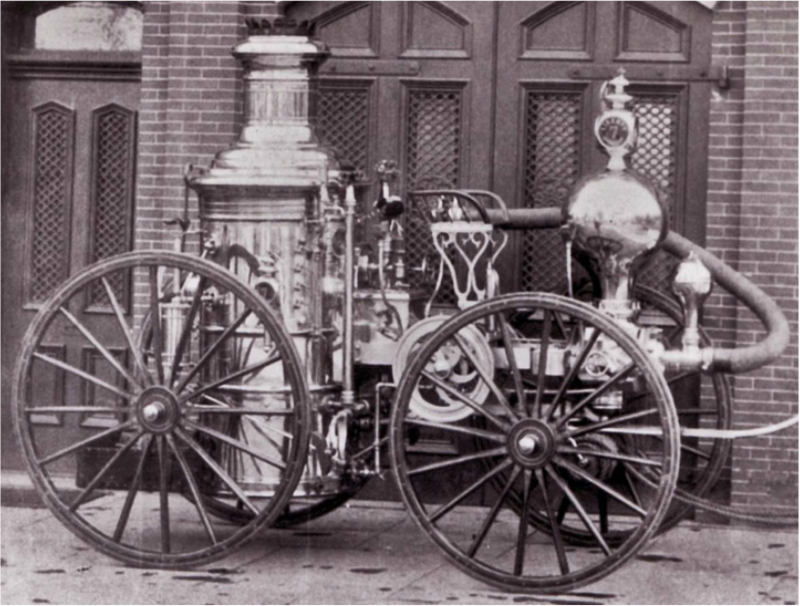 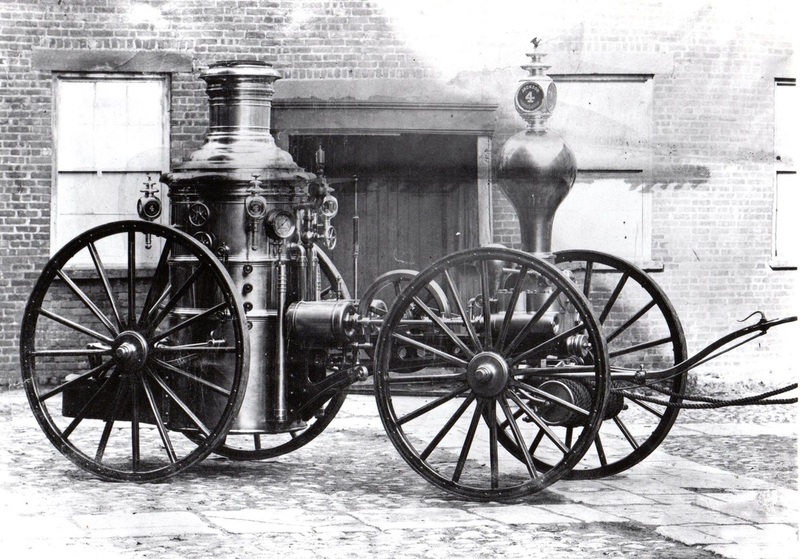 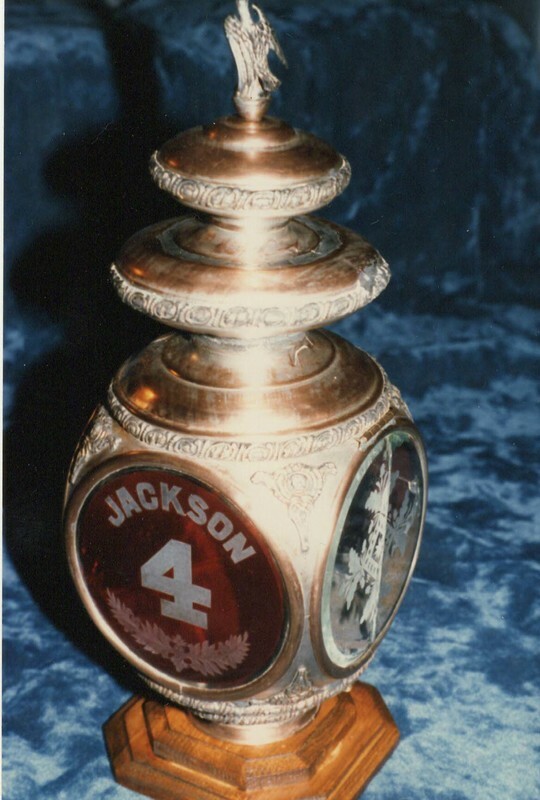 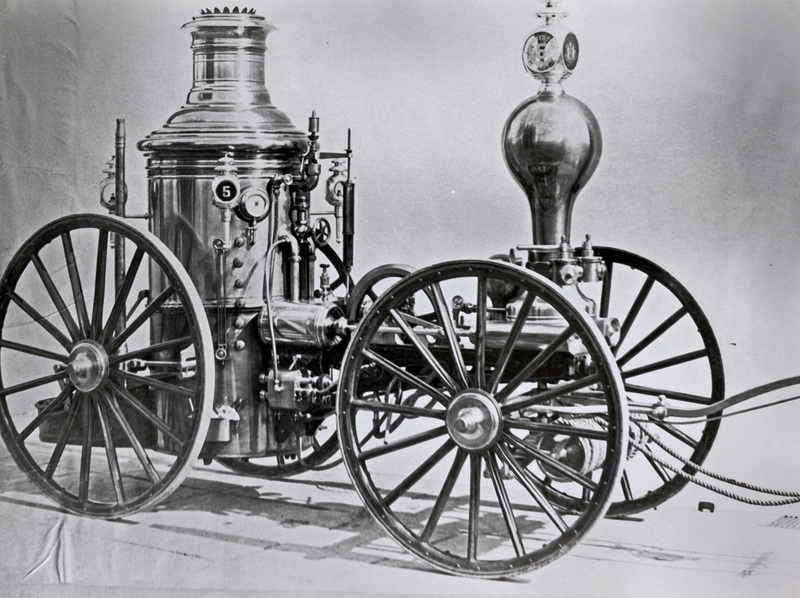 The engine lamp seen on Paterson's Jackson Engine Company 4 is shown below. 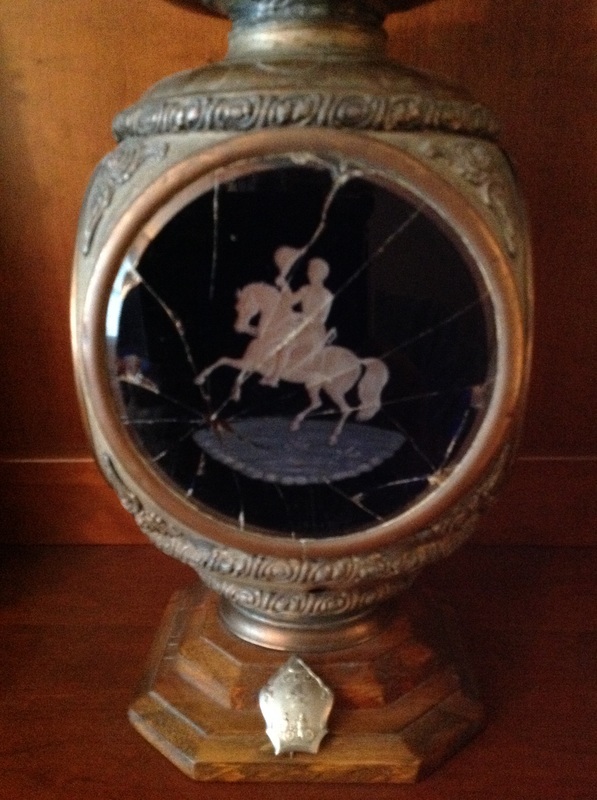 The silhouette engraved on the glass is President Andrew Jackson on his horse. 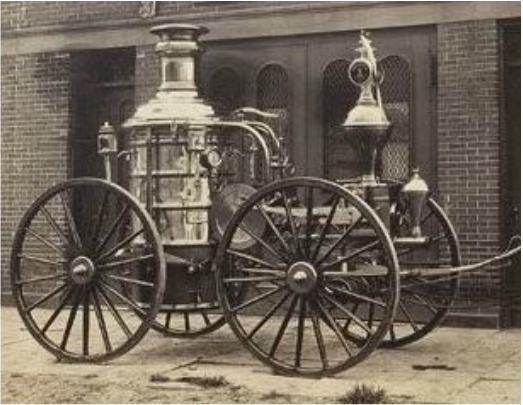 Below are pictures of two Paterson Volunteer Department engine lamps: the main one atop the Jeffers steam fire engine and the small side light attached to boiler. 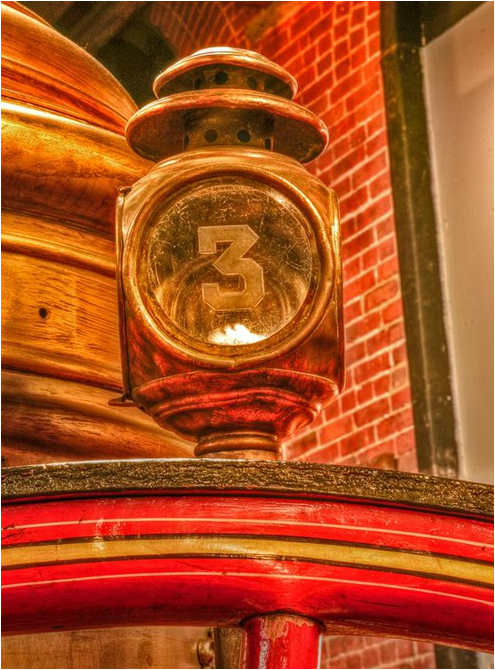 The way the main engine lamp is displayed on the restored 1861 steamer (Washington Engine Company 3) raises several questions. 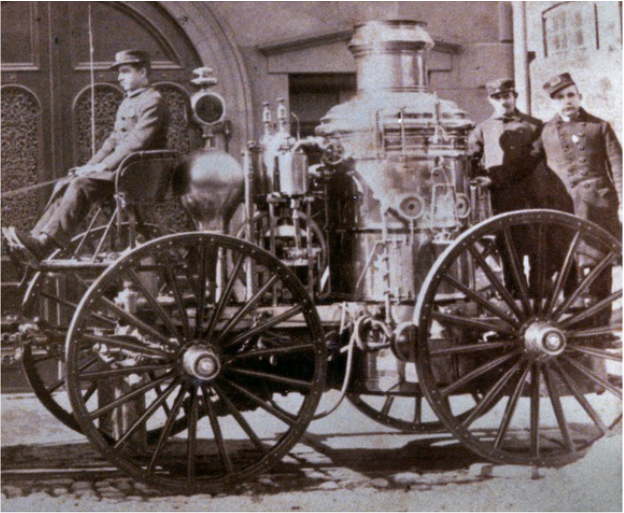 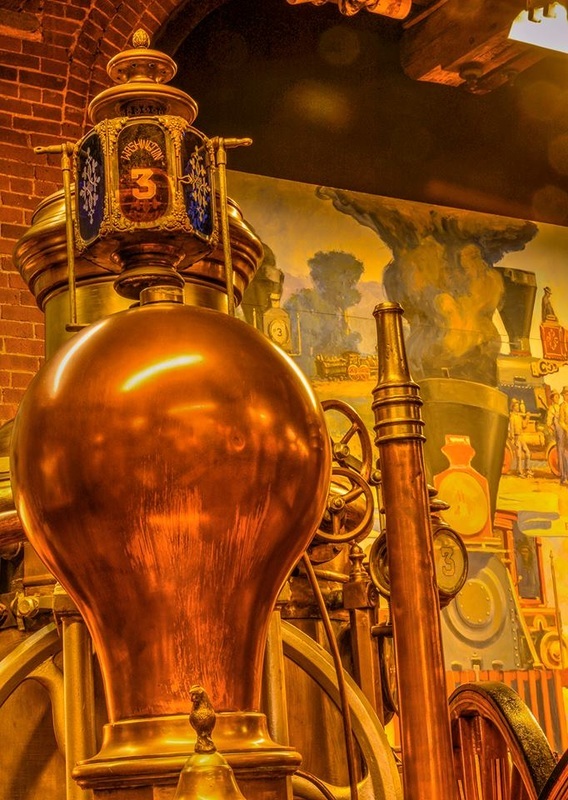 The photos shows an the lamp sitting on top of the mid-section of steamer. 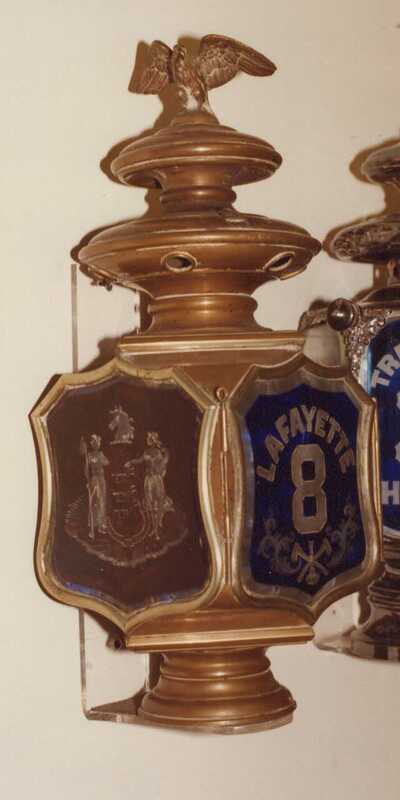 However the original lamp would not have been located in the mid section but rather screwed (fit very tightly) into the top of the large brass chamber (note the unused knob on its top). 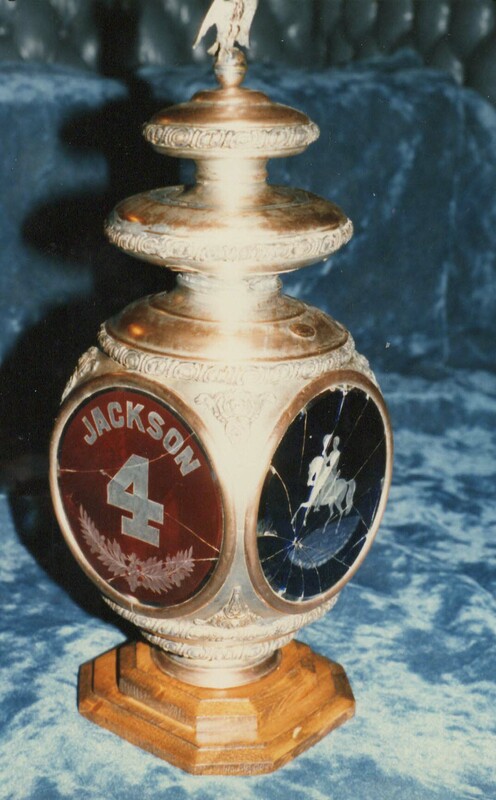 There would not have been the "swing" holder that is now present holding the lamp. 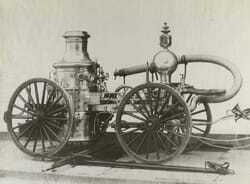 Sometimes hose wagons had lamps which would use this type of swing hanger. 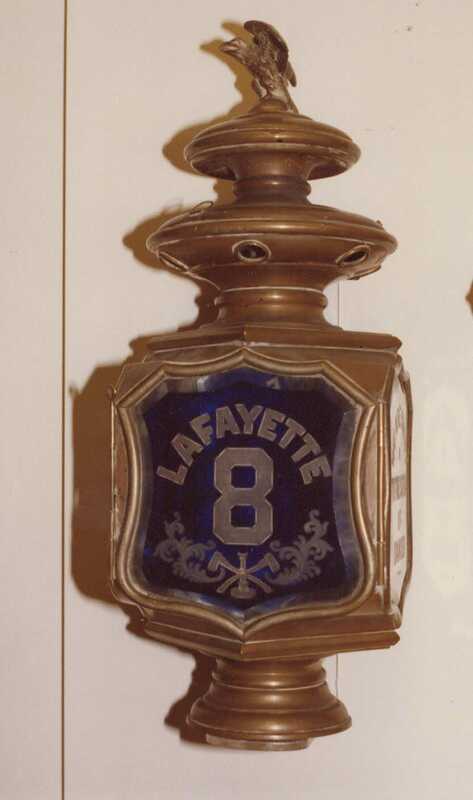 The lamp belongs on the front brass chamber and the real question is why did not restorers put it where it rightfully belongs? 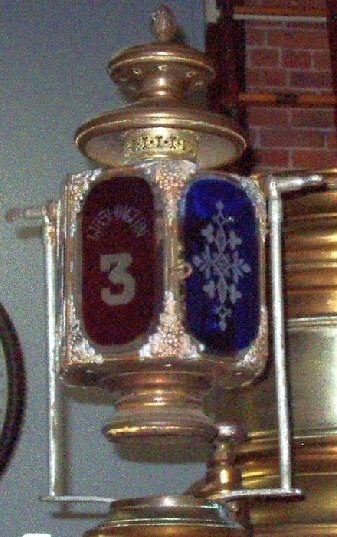 A supposition is that during the restoration this Washington 3 Engine Lamp did not fit on the 1863 Jeffers front brass chamber as the lamp was likely was from their hose wagon or their later steamer (an 1881 Amoskeag). 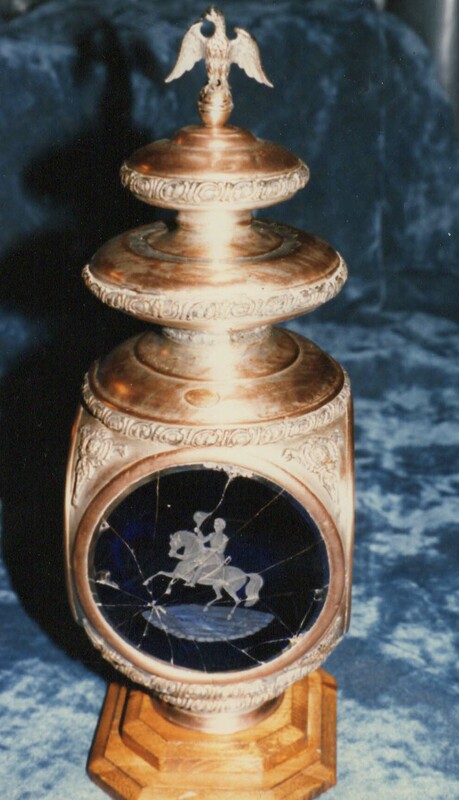 A creative restorer came up with the “swing” hanger idea which could be anchored to the middle part of the steamer (but not to the brass chamber). 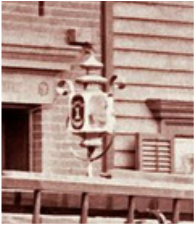 There is a chance the lamp was original but somehow could not be reattached as it should have been and the restorers came up with the “swing.” I doubt we will ever know the real answer. 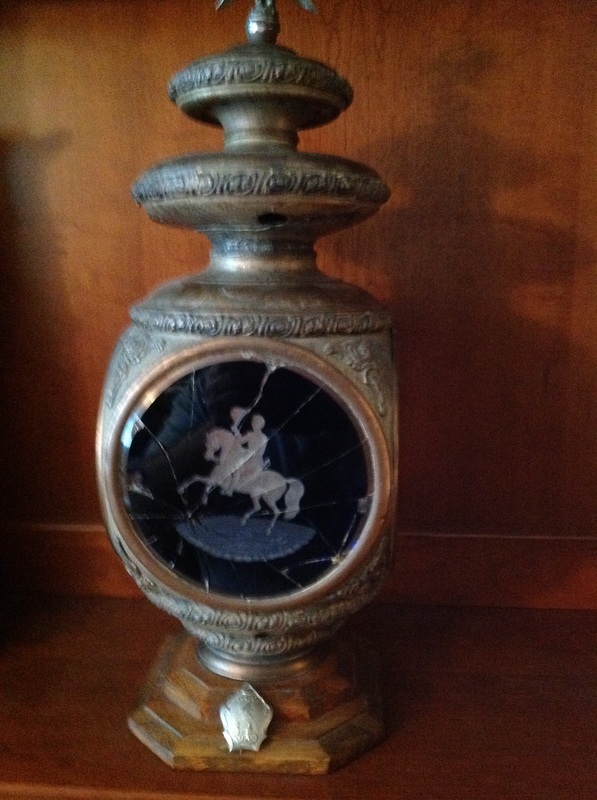 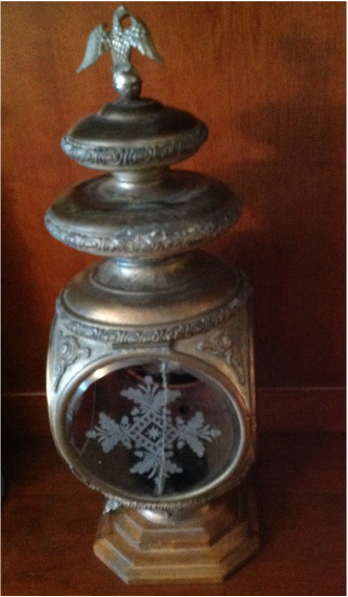 Nonetheless the lamp is beautiful and they are rare and valuable artifacts.